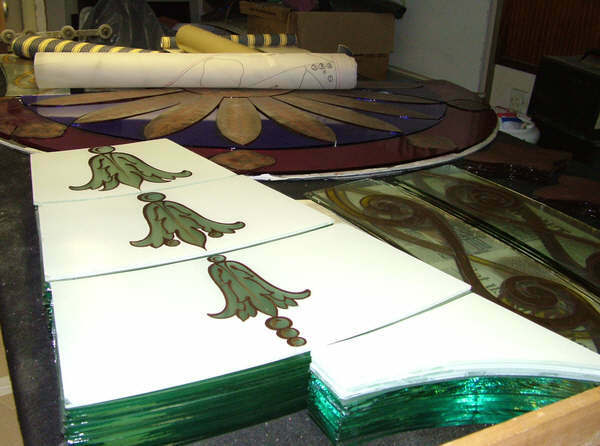 At the beginning of summer 2007 I was commissioned by Godstone Glass if I would like to make 3 huge stained glass windows for the Darnley Mausoleum in Cobham, Kent. 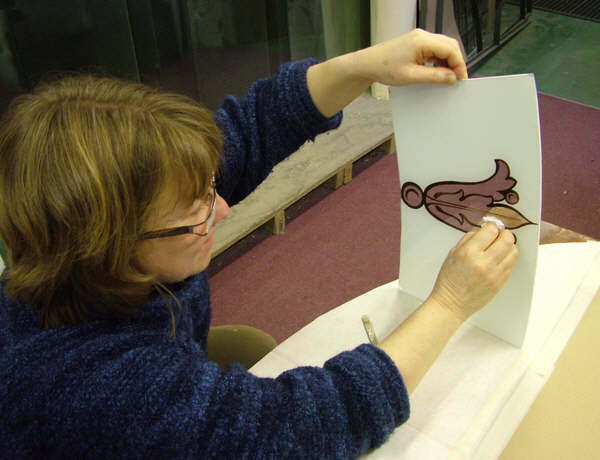 The design for the stained glass is based on an original water colour produced by the architect James Wyatt,in 1786. 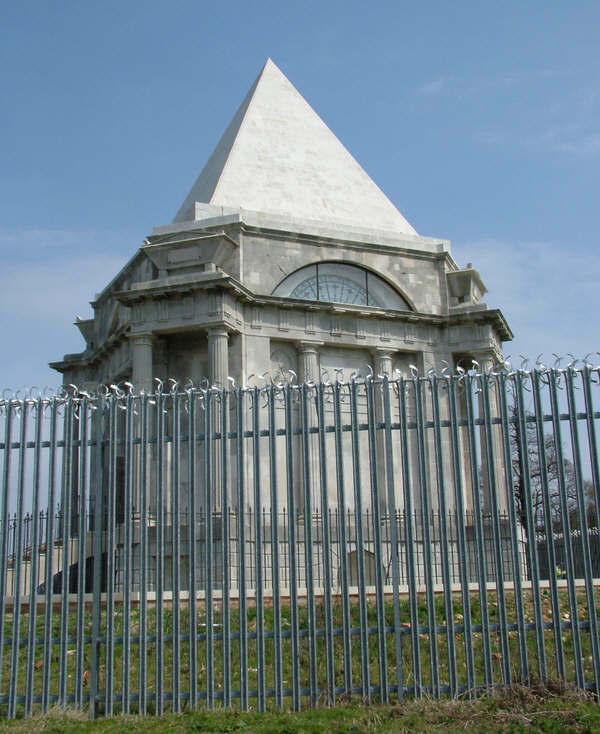 The Darnley Mausoleum has undergone a complete transformation by the stone masons and now, rather than looking sad, neglected and vandalized, it stands proud and gleaming in Cobham Woods in Kent in the grounds of Darnley Hall. Recently with the addition of the three finished stained glass lunette windows, the project is completed and will be handed over to the National Trust in due course. 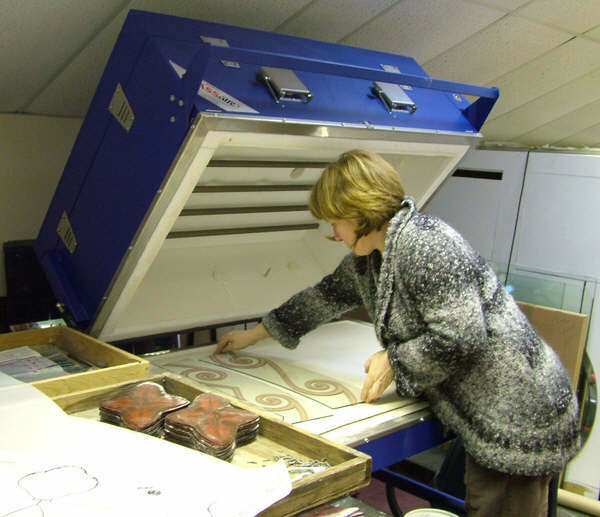 Godstone Glass won the commission and I soon began the lengthy process of manufacture. 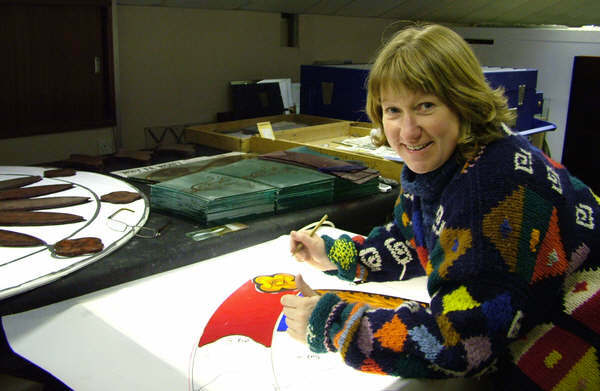 I first made full size drawings, called cartoons, which were then approved by English Heritage and The National Trust. A small 1/4 size panel was made to show the style of painting, enamel and glass colours . The approval process took some time but finally we got the go ahead and full production got under way. 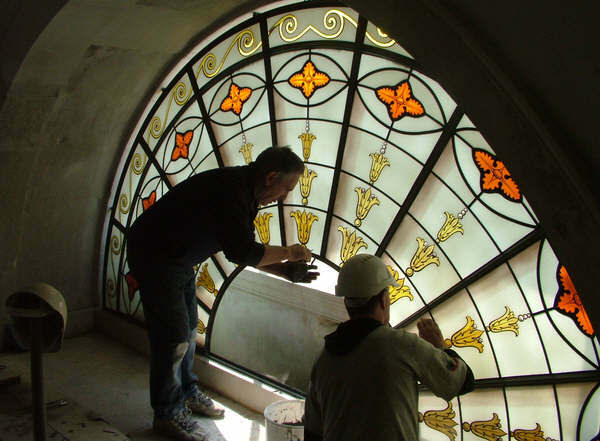 There are in total 3 stained glass lunette windows (Wikipedia) each 3m in diameter. So not a job for the inexperienced or faint hearted! 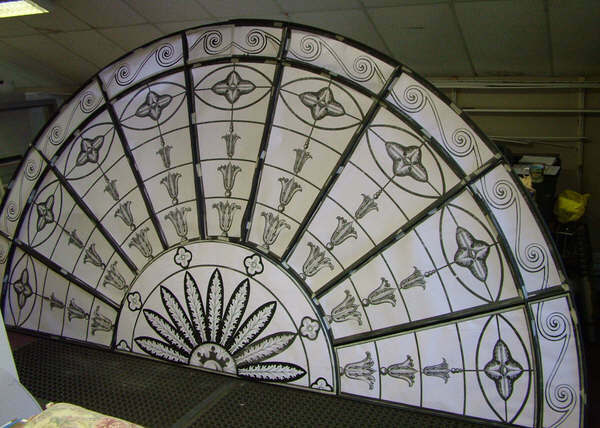 Each piece of glass is painted and stained in the traditional way with the addition of a special ‘designed for the job’ enamel applied by spray gun to the background and fired in a kiln. I had help from 2 former colleagues and of course from Godstone Glass who, apart from cementing , fitting and housing the whole job, were working behind the scenes with the main contractor leaving me to get on with the work. 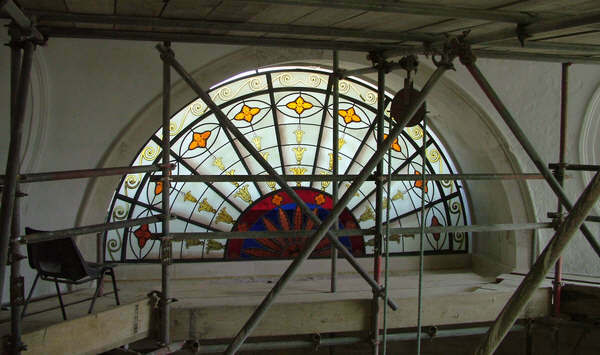 The whole process took 6 months from start to finish and the stained glass was fitted in late April 2008.